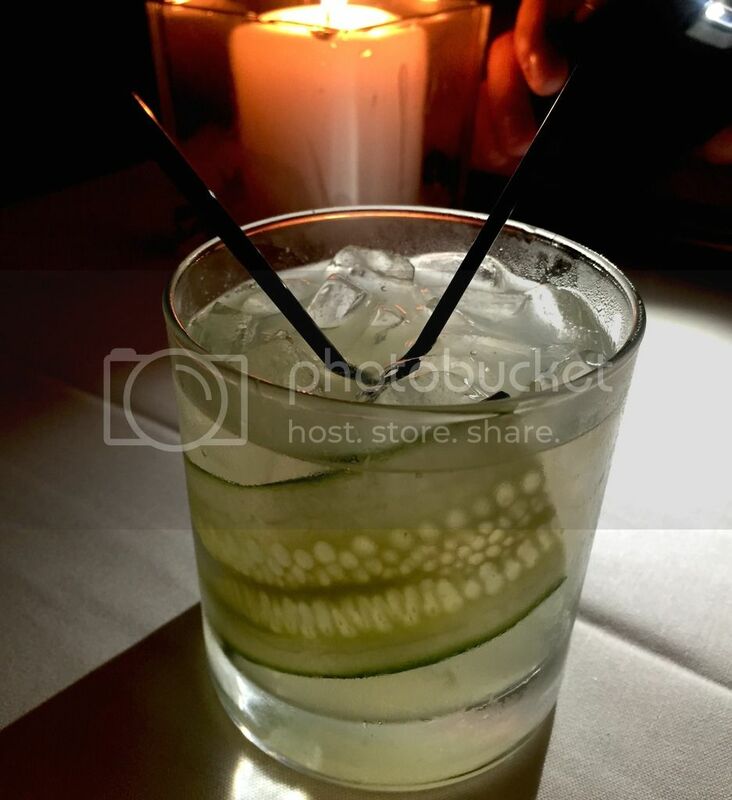 Cucumber Gimlet – (below) Nolet’s Gin, fresh lime juice and cucumber. 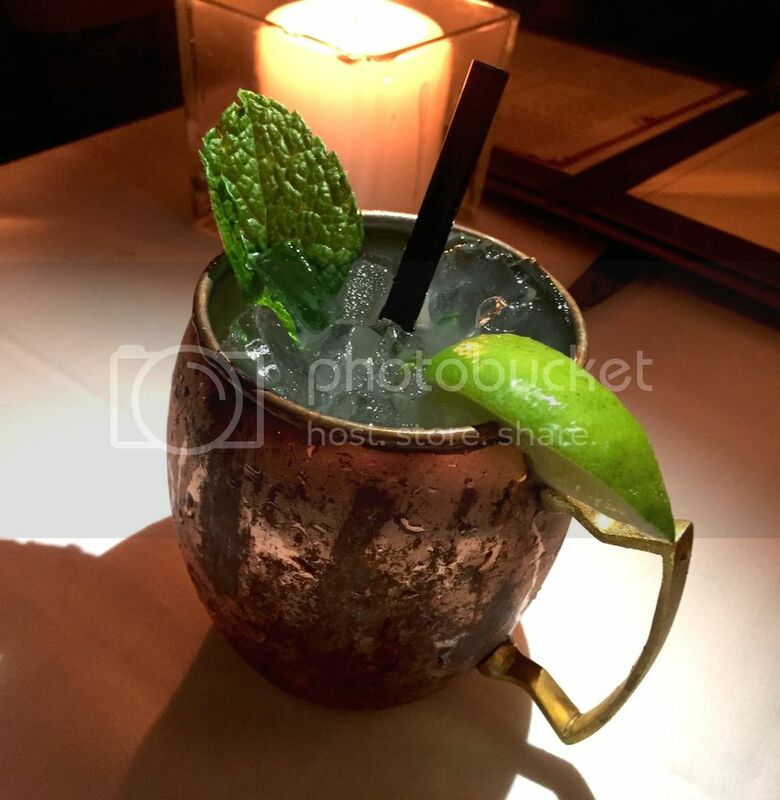 Boricua Mule – (below) Trigo Extra Añejo Rum, lime juice, fresh mint and ginger beer. 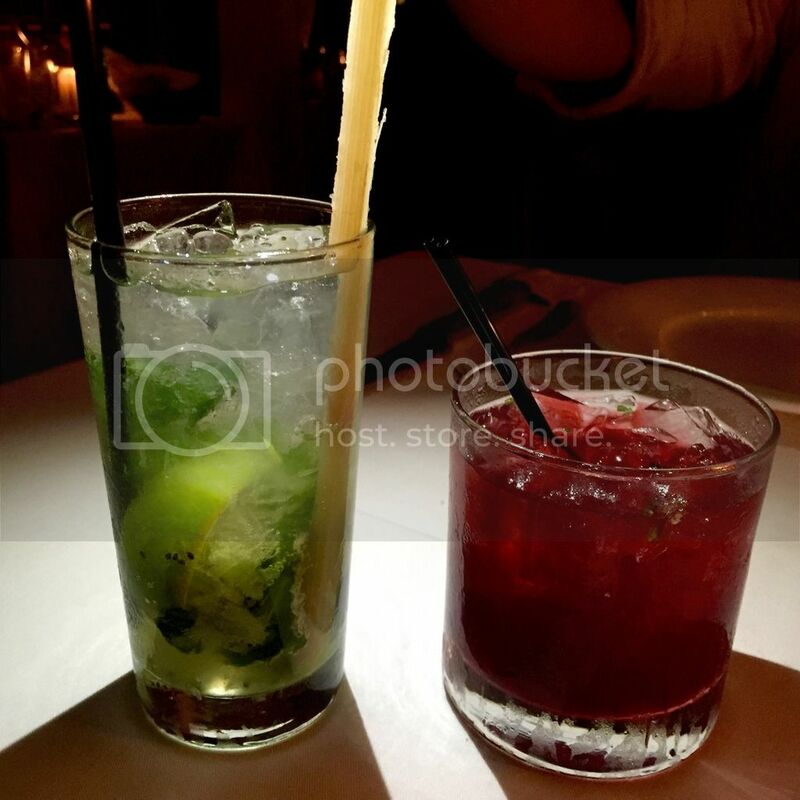 Basil Kiwi Mojito – (below left) basil infused vodka, fresh mint, fresh kiwi, vanilla syrup and fresh lime. Black Sun – (below right) Solbeso Cacao spirit, Cointreau, jalapeño, blackberries and cilantro. Maracuya Pisco Sour – (our favorite, below left) Kappa Pisco, passion fruit purée, fresh lime juice, vanilla syrup and egg white. 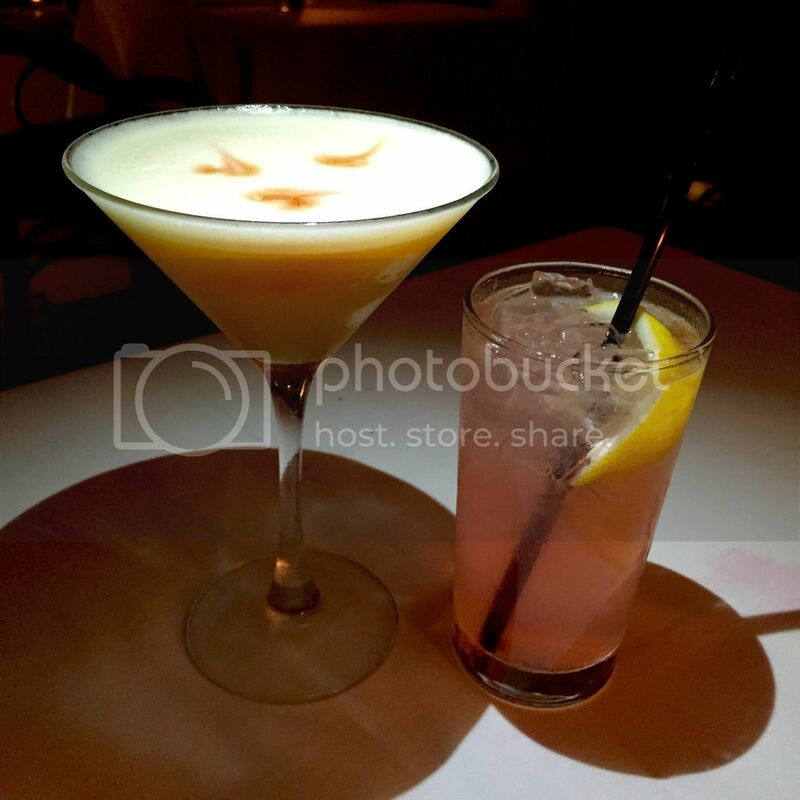 Tequila Pink Lemonade – (below right) Peligroso Silver Tequila, Cointreau, lemon juice and organic pink lemonade. 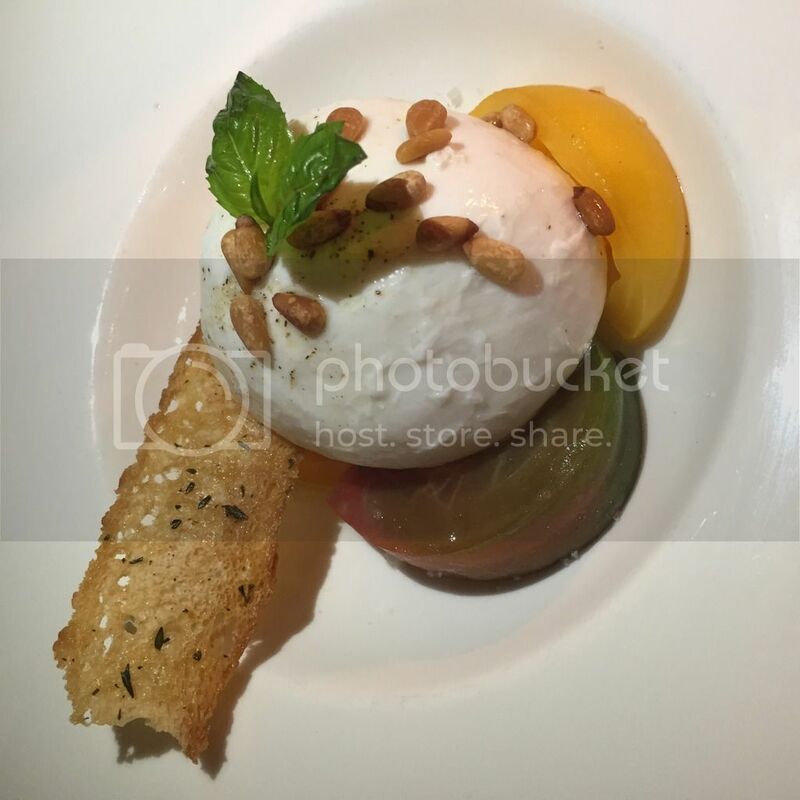 Burratina & Fresh Heirloom Tomatoes – (below) with organic olive oil. 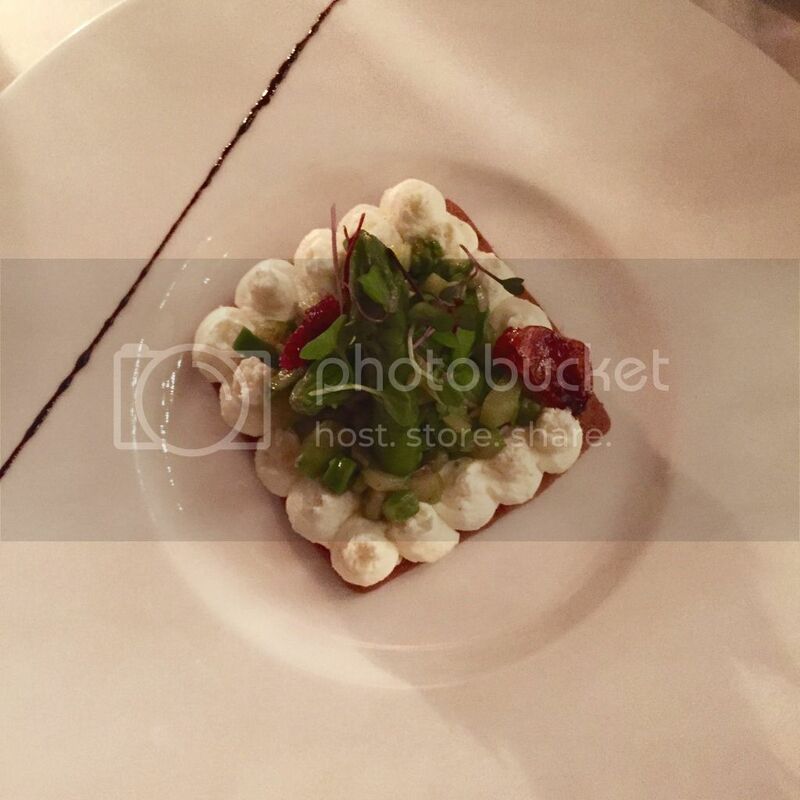 Truffle Asparagus Tart– (below) with confit tomatoes. 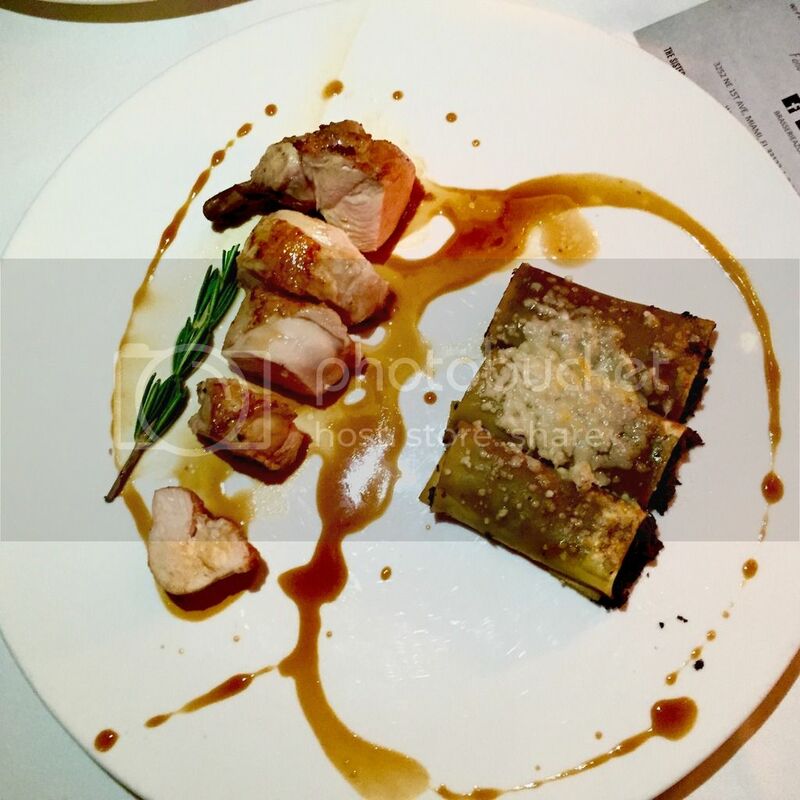 Supreme de Volaille – (below) chicken, slowly cooked with mushroom cannelloni and rosemary juice. 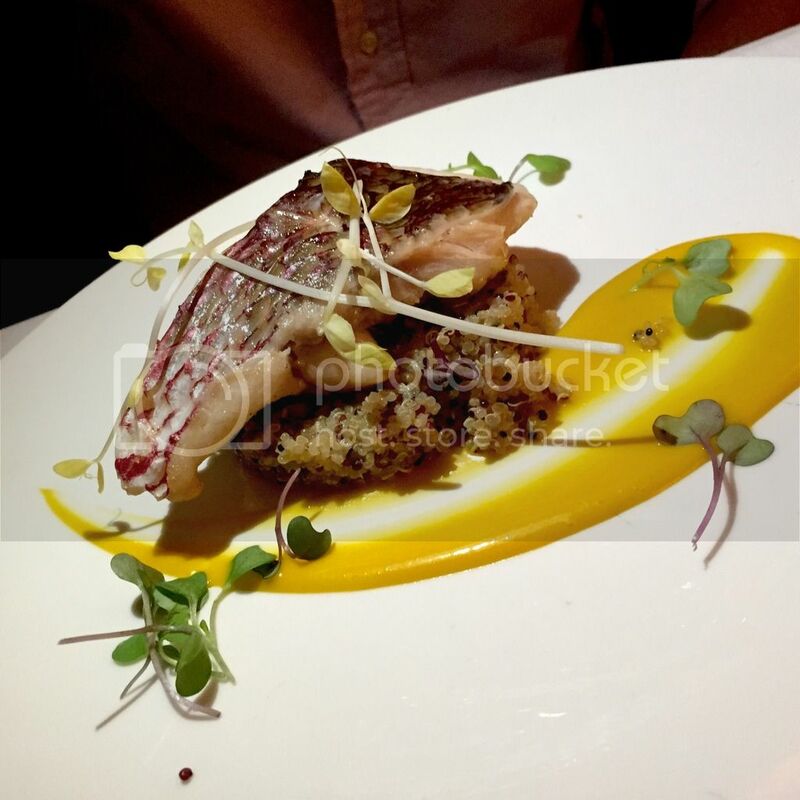 Pan Seared Red Snapper – (below) with mango dressing, mint quinoa and popcorn shoots. 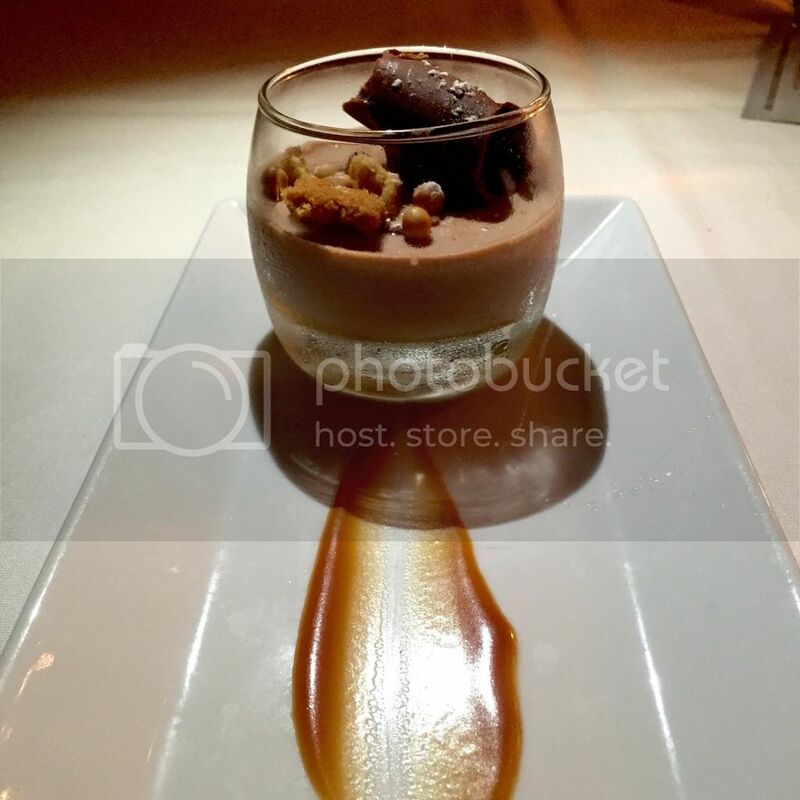 Chocolat Bahibe Panna Cota – (below) with exotique confit. 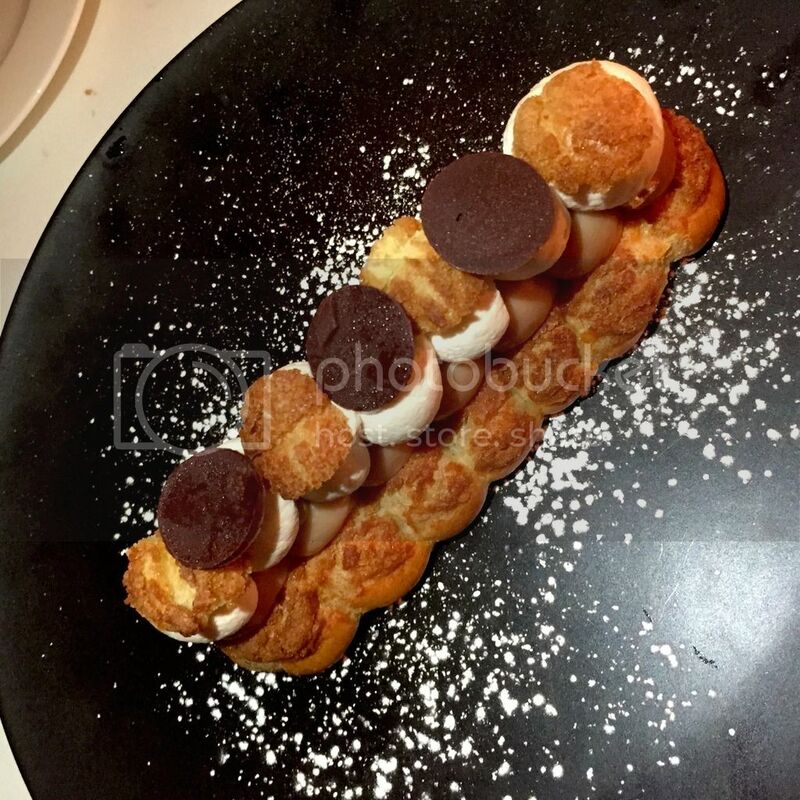 The Paris-Brest (below) isn’t on the Spice menu, but you can order it off the regular menu for $14. Villa Azur’s Miami Spice menu is offered every day except Thursday from 6:30 p.m. – 1 a.m. through September 31. The menu is subject to change bi-weekly.